Let’s get together and feel all right! Working hard all summer? Need a night of fun? Love the life you live and feel good when you’re done! 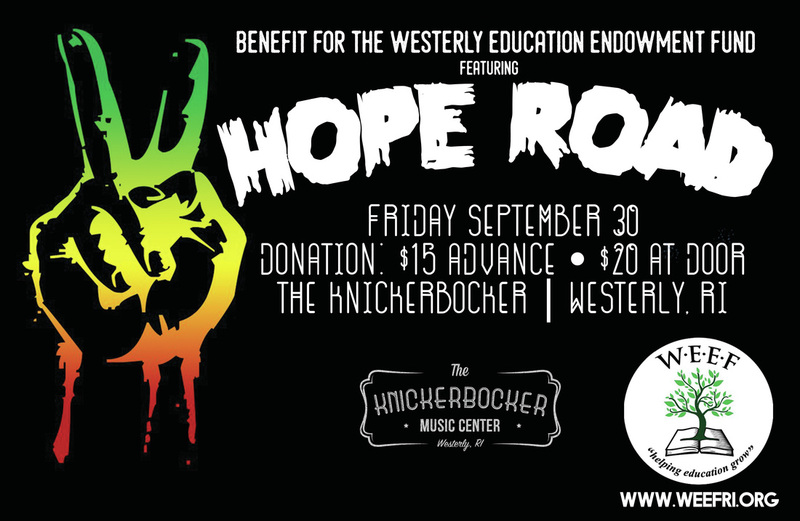 Donations for a night jammin’ to the music of Hope Road, a Bob Marley tribute band, go to the Westerly Education Endowment Fund and provide unique opportunities to help our children free their minds and learn to sing their own sweet songs, in melodies pure and true. Join us, and don’t worry ‘bout a thing! Can't attend but want to support anyways?